Chances are if you know of someone who has replaced an aluminum fuel tank you have heard of SP Sheet Metal. 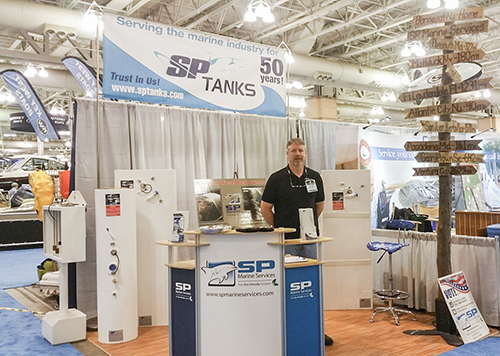 The region’s leading fuel tank manufacturer since 1962, SP Sheet Metal is a custom job shop that offers a wide range of metal fabrication services, specializing in fuel tanks but offering much more. If you can draw it, we can build it. We also manufacture tanks for the US military. For over 55 years, our guiding principal has been to supply a flawless finished product and the highest level of customer service. We began by establishing a reputation for integrity in the industry. Today, we pride ourselves on maintaining these principals while embracing the latest in manufacturing technology. Browse the menu above to explore our wide range of services, or visit our marine services division at via the button below.